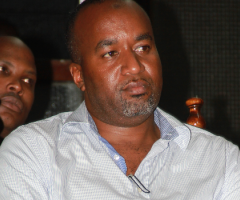 Mombasa governor Hassan Joho yesterday questioned the validity of the petitioner who filed a suit challenging his Business degree. Joho through his lawyer Paul Buti said the petitioner, Silas Make, should produce his ID card in court. Make’s ID indicates that he comes from Kisii Central. “That name is strange to that part of the country,” said Buti. He said the ID will guide the court for the payment of the suit if Make loses. “We do not want a situation where the ID details in the affidavit is contrary to the details of the petitioner,” said Buti. He applied for the petitioner to deposit financial security in court during the hearing and determination of the suit. The governor’s case yesterday continued to become murky after Otuke was yesterday allowed by a court to file further supplementary affidavit incriminating Joho in the fake degree saga. Otuke has questioned the validity of Joho’s Business administration degree, Human resource option, which he (Joho) claimed to have been awarded by Kampala University. Otuke yesterday applied to file further affidavits to support his claims that the Mombasa governor acquired his degree fraudulently.